Therefore I am extremely honored and almost cannot explain how glad I am, too!! ;) And I thank Nici Roberson for awarding me this nomination! – Thanks! At night or after a long run! http://adventuresweseek.com/about/ – title says it all :) check it out! http://couragetoadventurecoaching.wordpress.com/ – a very wise blogger. I’ve thought a lot about starting some sort of challenge-thingy. So here it is. These challenges will be fun (sometimes), exciting, hard and hopefully sense- and mind-developing. :) First off I challenge you to live like a physically challenged being. Be it 20 minutes – while eating a meal, or a whole day – if you don’t have any plans anyway. In a minute I will give you some examples, but first I want to explain why I challenge you to do this. – Eat your meal, but blindfolded, sitting on the ground or with no cutlery. (This sounds a bit disgusting, but try to turn it into something fun!) I did all of these three a couple of times myself, so it IS tested ;) And if you have a family, then why not make some family fun out of this? I tried that once too. – Try, if you’re home alone with no plans for instance, to completely eliminate your hearing. – Try going to work blindfolded or “deaf”. – Or try to walk around and do everyday house chores blindfolded or with one hand at your back for a couple of hours. – Pick any of these or make up your own, and practice them for at least 20 minutes each month. – Post a comment with what you did and for how long. And… that’s about it. :) Have fun with it! I think I am going to try the home-alone-with-no-hearing – one :) What about you? 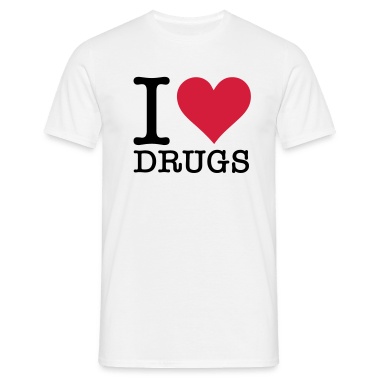 Drug, drugs, drugs, drugs – no! LOVE! In my short life I have never taken any drug of any kind. And when I say drug, I mainly speak marijuana which is the most popular – and with good reason, too. I have READ that it should expand your mind and make you more aware of how things really are. What I meant to say was that I can only imagine how it feels to be on, for instance – pot! And when I look at how my friends act with and without these effects, well then I can only think of one other “healthy” comparison – LOVE!